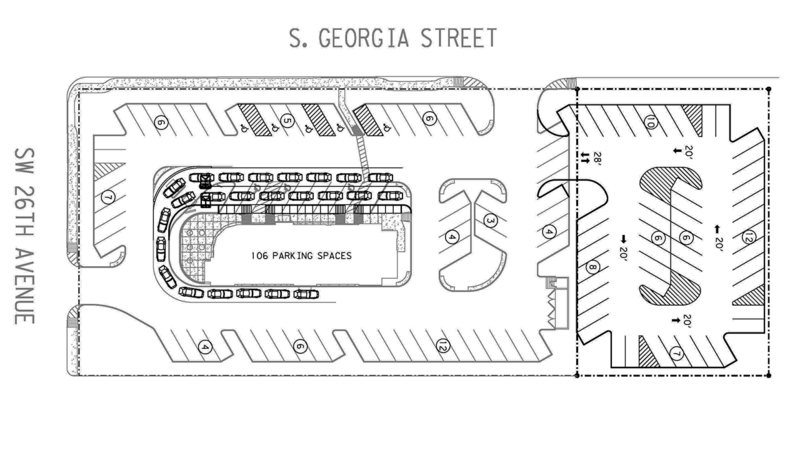 Chick-fil-A on Georgia is expanding parking, drive-through lanes. The wait may not be over at Chick-fil-A on Georgia Street, but it could be shortened quite a bit. The Chick-fil-A outlet has launched a project to enlarge its parking lot by taking in a vacant parking lot to the north, rearranging existing parking adjacent to the restaurant and reconfiguring its drive-through lines into a “true double-stack,” owner-operator Joshua Raef said. New menu canopies and increasing the number of employees working iPad registers from two to five also will improve and speed service, Raef said. The Chick-fil-A lot frequently is filled to overflowing during peak service times, such as the lunch-hour. The changes should help the restaurant take its peak drive-through lunch traffic from 120 cars an hour to at least 140, he said. Expect the project to be complete as June ends, he said.